Bengaluru-headquartered information technology (IT) firm Mindtree’s board on Wednesday was unable to take a decision on its proposed buyback plan to stave off a takeover bid by Larsen & Toubro (L&T). The decision might be taken at a later meeting. “The board considered the proposed buyback of equity shares on Wednesday. Following detailed discussions, the meeting has been adjourned to a future date,” the company said in an exchange filing. “No decision has been taken in relation to the proposed buyback of equity shares,” it added. 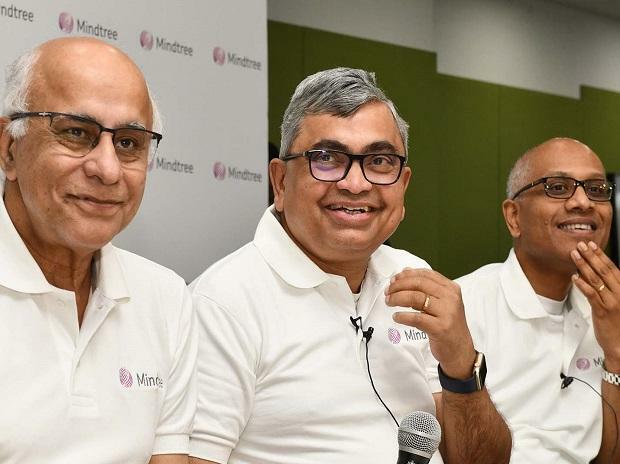 Mindtree Chief Executive Officer Rostow Ravanan on Tuesday had said the open offer was still possible with the approval of 75 per cent of shareholders. “Procedurally, it is possible, but it has to cross certain regulatory thresholds,” he said. After terming L&T’s attempts to take a controlling stake in the company as hostile and value-destructive on Tuesday, founders of Mindtree remained tight-lipped on Wednesday. Sources in the company said while the board deliberated on the open offer, apart from the proposed buyback, it did not come to any conclusion on a concrete action. L&T on Monday mounted a hostile takeover bid for Mindtree, with a multipronged strategy to buy 67 per cent controlling stake in the firm for about Rs 10,733 crore. While it has entered into an agreement with Mindtree’s single-largest investor, V G Siddhartha, to purchase his entire 20.32 per cent stake for Rs 3,269 crore, it is also eyeing an additional 46 per cent through the market and the open-offer route. While the L&T management was of the view that the company’s bid to acquire controlling stake in Mindtree should not be seen as a hostile attempt, the management of the Bengaluru-headquartered firm strongly argued against the deal, saying that the acquisition was not in the interest of Mindtree stakeholders. Sources familiar with the development said while the top management of L&T is confident of the deal going through, they are more concerned about the “battle of perception” and the efforts to paint the firm as a corporate raider.